Once again, another year of Electronic Beats Festivals has come to a close (unless you count our upcoming Montenegro appearance, but hey, that’s really more of an event), and once again we’re bringing you the best of the best in one neat, condensed A/V package. Before we role out next year’s modeselektion for you, we suggest you start with one of our personal favorites. Here’s James Blake at EB Fest Gdansk, playing his beautiful interpretations of Feist‘s “Limit to Your Love” and “I Never Learnt to Share”. Below that you can see a full runthrough of some of the amazing performances, featuring Blake, Squarepusher, Dillon, Jazzanova, and Digitalism. Next we’re jumping ahead to current times. The recent Zagreb festival left us breathless and exhausted, thanks in part to the standout show from Hot Chip. Though it isn’t quite as exciting as being there, we think the video below, which shows the band performing “Boy From School”, “Flutes” and “How Do You Do”, does a good job summing up the atmosphere. If there’s one thing we love as much as good music, it’s a good spectacle. 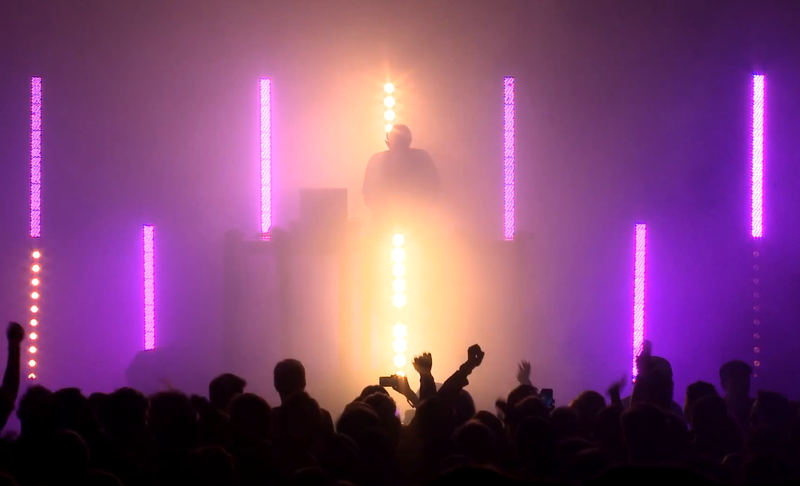 Artists like Squarepusher and Hudson Mohawke do a perfect job of showing that you can be one man and still put on shows that feel massive and awe-inspiring. Their shows were some of the sweatiest we attended all year, and also some of the most smile-filled.